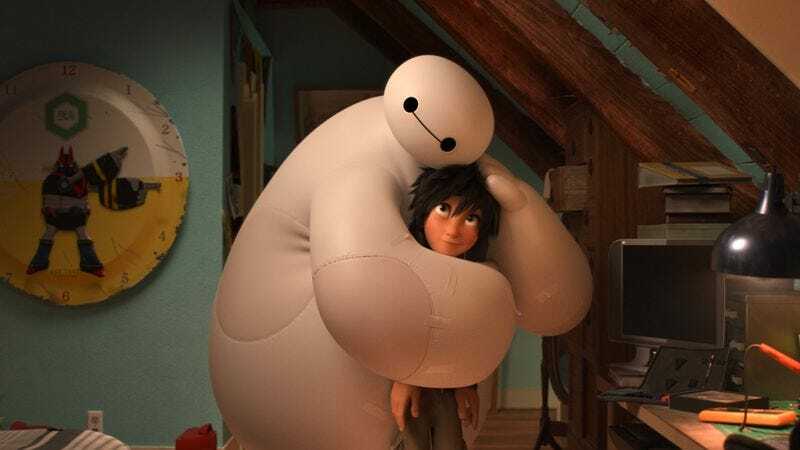 Rather than let the film languish in the vault along with Sleeping Beauty (and the Seinfeld gang’s secrets), Disney is already getting to work on a TV series based on 2014’s Big Hero 6. The ongoing adventures of Baymax and Hiro will be brought to Disney XD by Kim Possible executive producers Mark McCorkle and Bob Schooley, and are expected to debut in 2017. There’s no word on a voice cast, but we certainly hope Scott Adsit can find the time to reprise his role as the inflatable robot. Disney often places its properties in stasis, i.e., its vault, presumably to allow absence to make the heart grow fond enough to inspire people to pay more for reissued films at arbitrary intervals. But those “moratoria” have grown increasingly shorter and less common, as Disney premiered a sequel series to The Lion King in November, and is already developing a TV follow-up to 2010’s Tangled. And in addition to the recent live-action version of Cinderella, a new Jungle Book movie is set for release in April.